The Independent National Electoral Commission (INEC) says it has uncovered new plans by some politicians who are allegedly recruiting food vendors to facilitate vote buying in the forthcoming general elections. 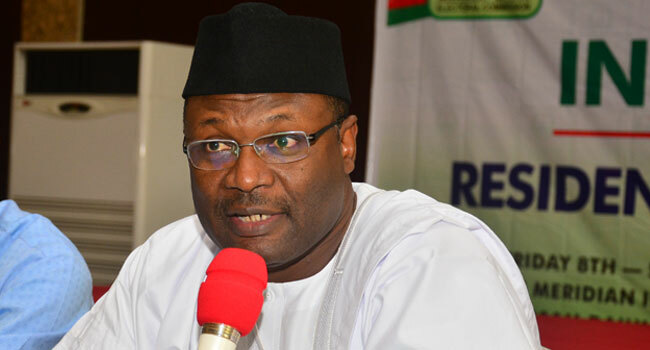 INEC Chairman Professor Mahmood Yakubu revealed the new vote buying technique by politicians at a meeting with the European Union elections observer group in Abuja. According to him, the politicians have earmarked some polling units across the country where food vendors will be positioned to give cash and other incentives to voters during the exercise. Concerns about having a free, fair and credible election have continued to increase as the date for the 2019 presidential election gets closer. International elections observer groups are taking advantage of the last minute window of discussions with INEC, to put finishing touches to their plans and operations before the elections kick off. At this meeting with the chairman of the independent national electoral commission in Abuja, delegations of elections observer missions from the ECOWAS and the European Union want an assessment of the electoral umpire’s preparedness for the polls. While assuring the international observer missions of INEC’s preparedness for the general elections, the chairman of the commission raised concerns about plans by some politicians who are allegedly devising a new method of vote buying. He also reaffirmed INEC’s stance on the use of the card readers for accreditation, insisting that every other means of accreditation is illegal. Its less than a month to the presidential elections in February the sixteenth this year. The exercise will be keenly contested by 73 presidential candidates, the largest since the return to democratic rule in 1999.